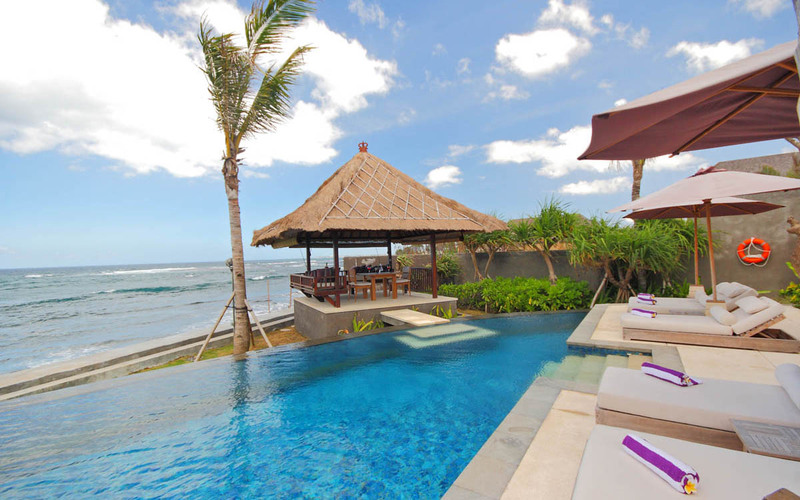 From $ 952AUD per night We have direct contracts with most villa owners. We don't add any booking fees. We are 100% transparent with no nasty surprises. 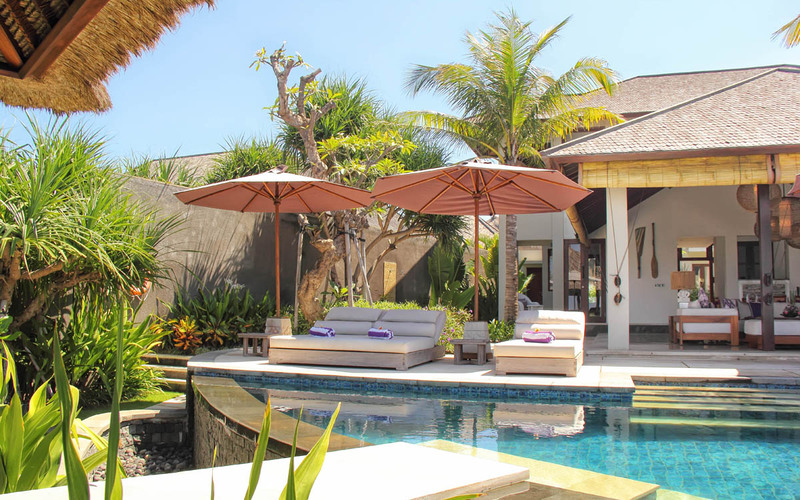 Villa Puri Saanti is a 3 bedroom Sanur holiday villa rental & is located right on the beach, just a few minutes’ drive past the tourist area of Sanur, is part of an exclusive private villa estate, the Anapuri Villa Estate. 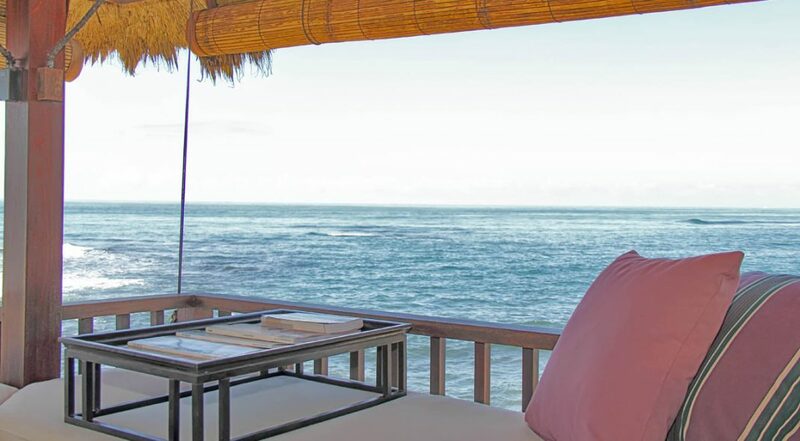 Waves gently lap on the sand right in front of this luxurious seaside escape, the most discerning travelers will be impressed by the luxurious bedrooms, spacious living areas and exceptional facilities. 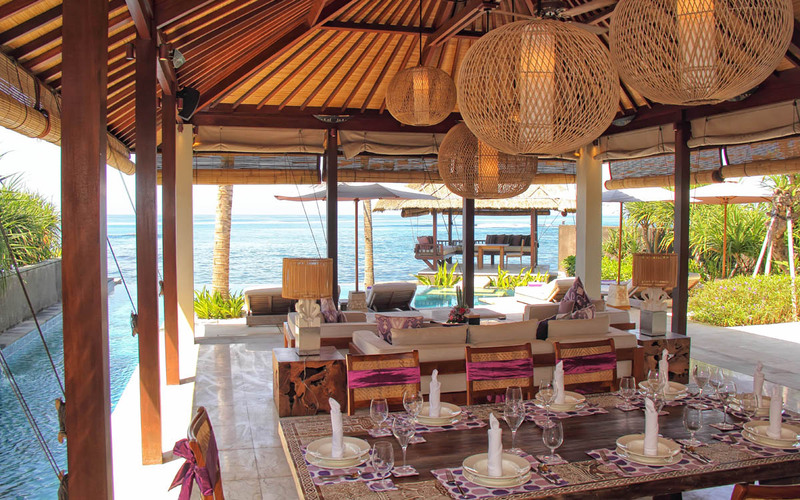 Guests can sit in the comfort of their living room and as they take in views across to Nusa Penida Island and further into the distance the panorama of majestic Mount Agung. 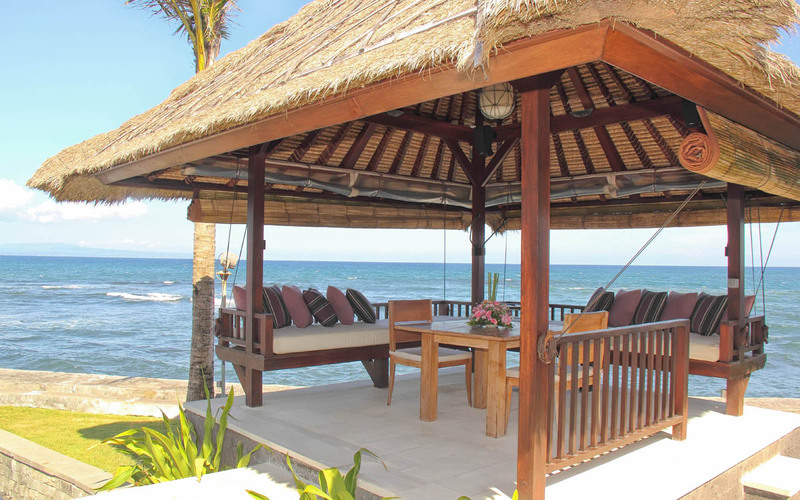 Wake in the morning and take a brisk walk along the black sands of Pabean Beach, before returning to your luxurious holiday abode. 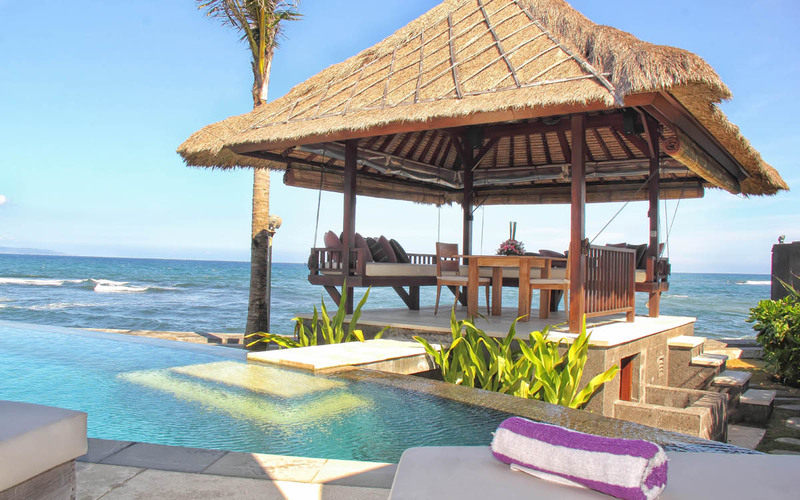 A spacious palimanan stone pool deck sits just off the living room; custom built timber sun lounges with stylish white cushions provide ultra comfort as you take in the amazing views. 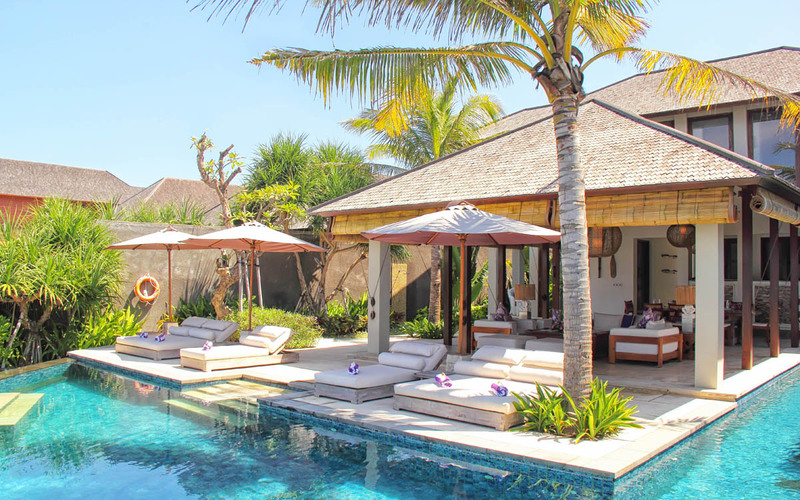 The pool wraps around the side of the villa, step out of the pool into the beach side gazebo and relax on the sofa or ask the chef to prepare a lunchtime snack for you. 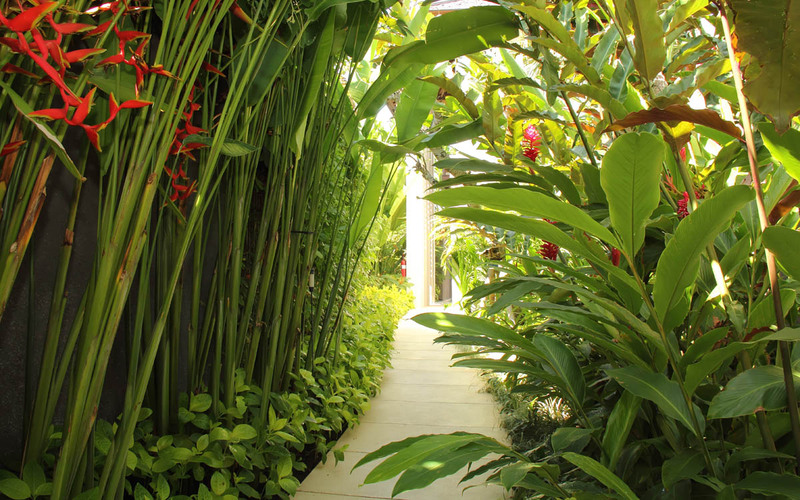 Swaying palms and tropical flora help set the perfect tropical setting, it doesn’t get much better than this. 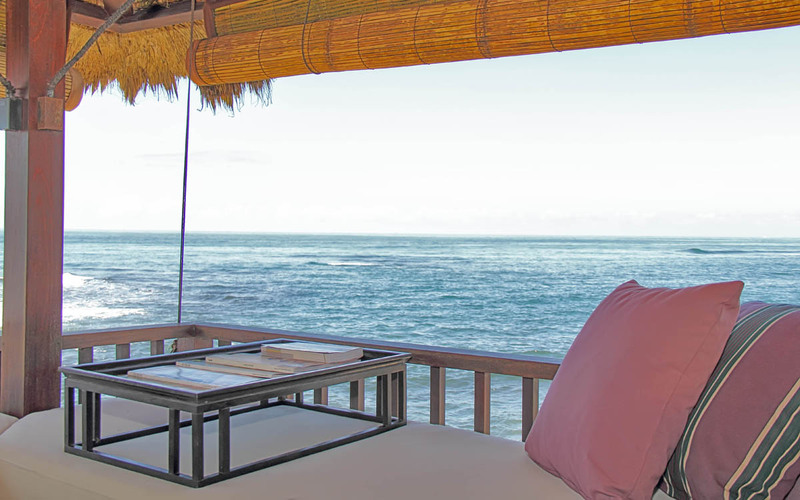 The living room is open-aired, just off the pool a chunky timber sofa lets guests take in the sublime ocean views of the Indian Ocean. A large timber dining table is ready, set with vibrant place mats, fine china and elegant glassware’s. Soaring ceilings expose natural timbers with chic light shades and ceiling fans for guest comfort. The media room is air-conditioned with a large flat-screen TV and a good selection of paperbacks on hand. Two bedrooms feature comfortable king size bedding, the third oversized twin beds and the fourth room is the media room which converts into a comfortable queen size room with its own en-suite. 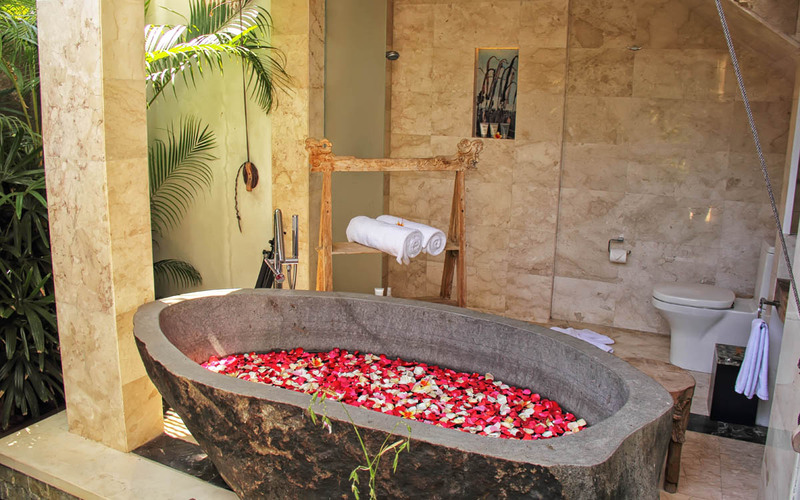 Natural stone soaking tubs are a feature of the beautifully appointed en-suites set amid tropical private gardens and the rain showers are very spacious. 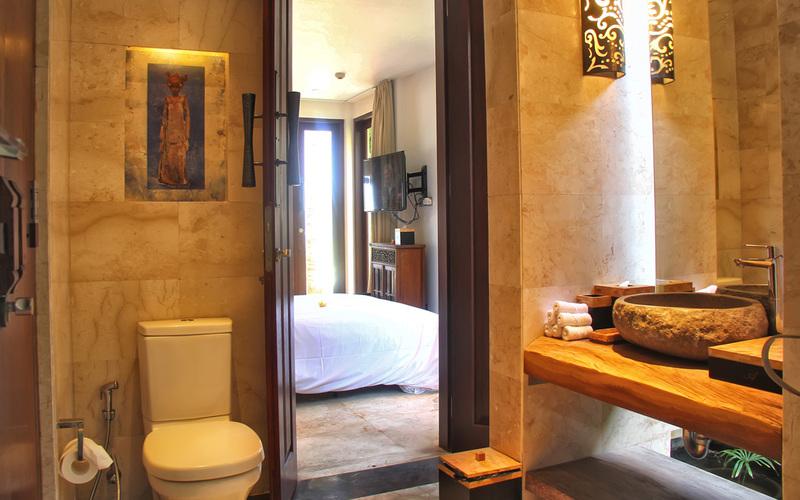 The master suite on the upper floor offers a pleasurable bathing experience with the stand alone soaking tub providing direct vies of the ocean. 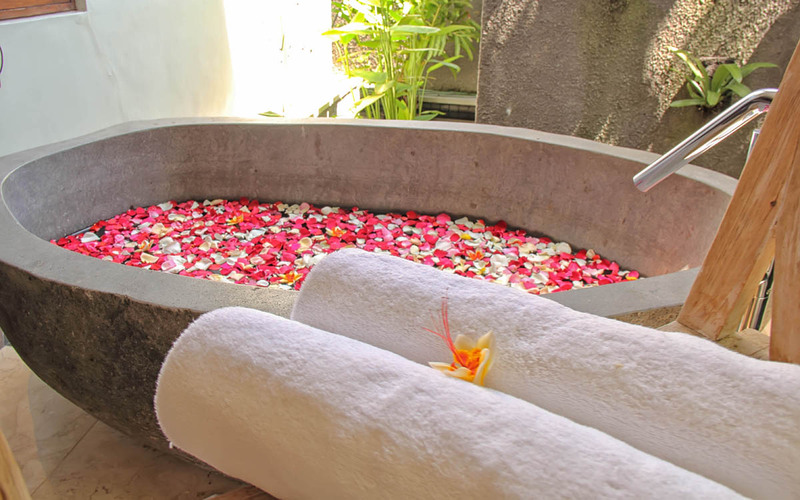 The staff at Villa Puri Saanti is highly trained in the finer points of discrete and discerning service. 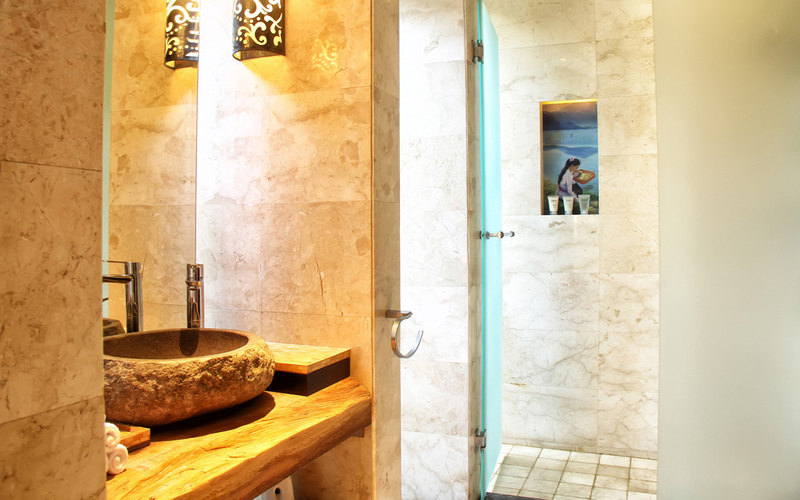 With your privacy of utmost importance, the staff will ensure the villa is impeccably maintained throughout your stay. The chef is well versed in the pallets of international guests and he will tantalize your taste buds with a broad selection of local and international flare. 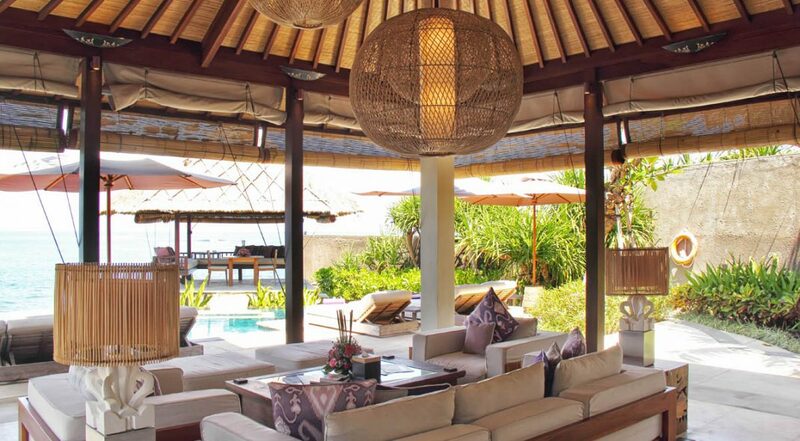 Chauffeur driven cars are on hand to take you to Sanur or maybe a day trip to Ubud, Seminyak or Amed. 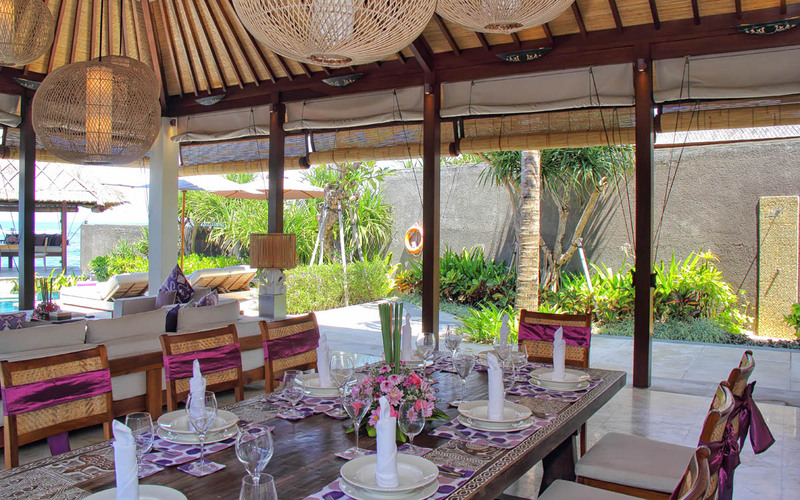 The villa is located around 15 minutes drive past the seaside tourist village of Sanur where you will find a good selection of restaurants and cafes, some located right on the beach front. There are good supermarkets here for food shopping, butchers, bakeries and ATM’s as well. 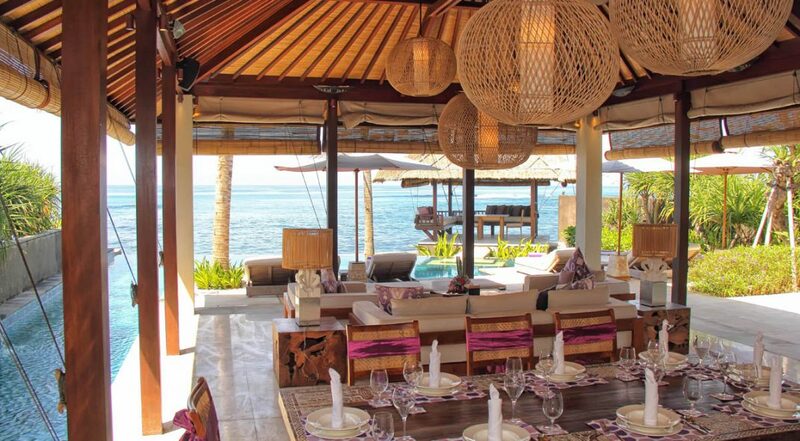 The Bali Safari and Marine Park is just a few minutes from the villa and the museums and traditional markets of Ubud are also within close proximity. 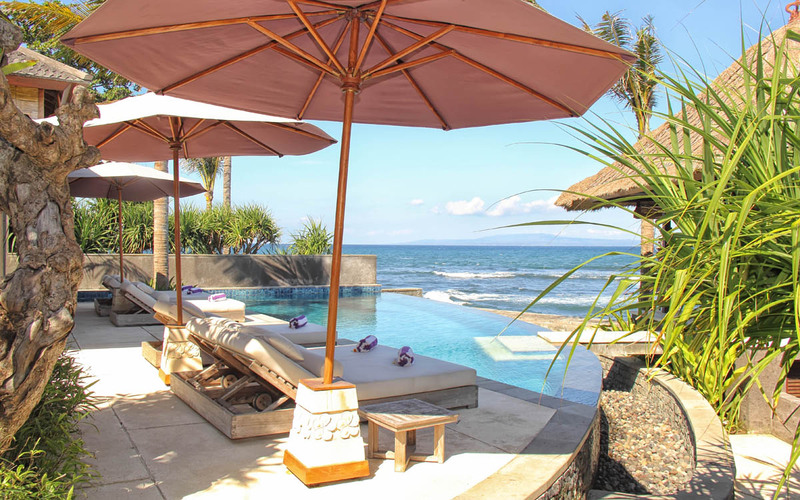 To view our full range of 3 bedroom Bali villas or more beachfront Sanur villas in this price range please browse this website or contact our reservation team. 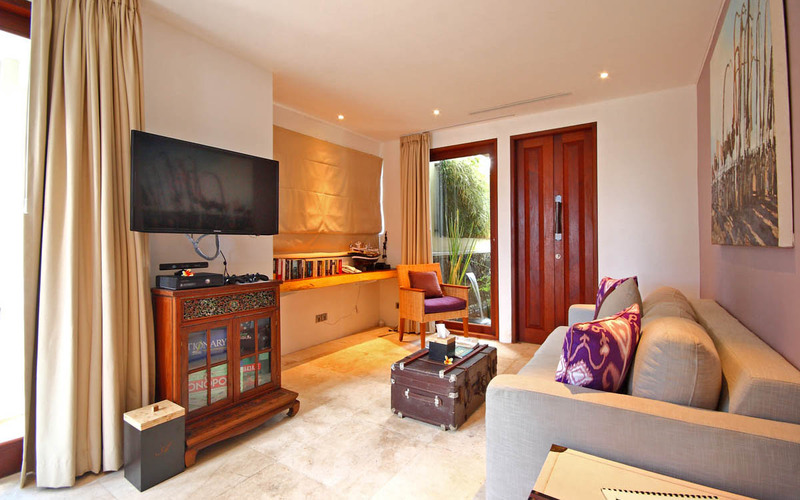 Book your Sanur holiday at Villa Puri Saanti well in advance as this is a popular villa, especially if your planning a trip to Bali during the Australian school or public holidays. 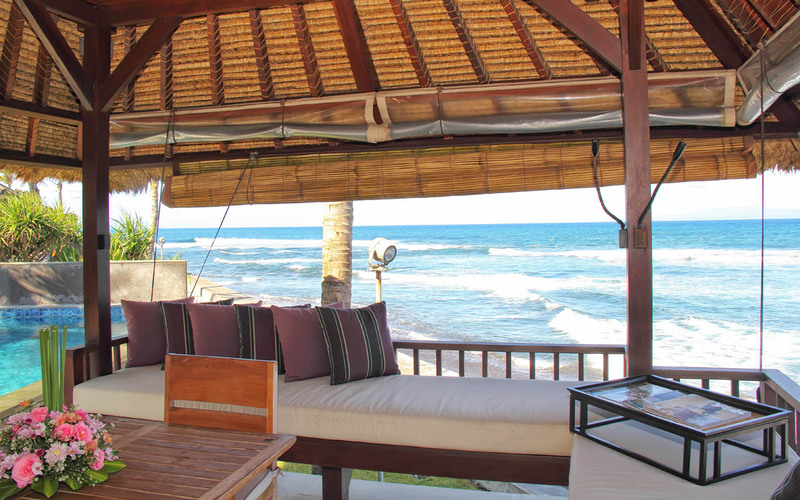 This was our first time staying in a villa in Bali and our first time in the Sanur area. What a great choice this was. Clean, modern and with the ocean right in front of us it really does not get any better than this. The place is sensational. I cannot tell you how many times I have raved on and on about this place to my friends who are dying to come here. WOW is all I can say. 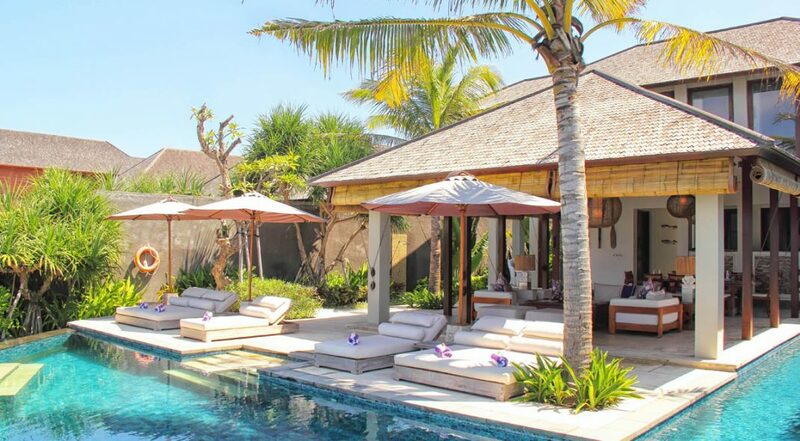 Let me start by saying thanks to the villa staff who were magnificent and thanks to Ina at Bali Villa Escapes for making this happen. 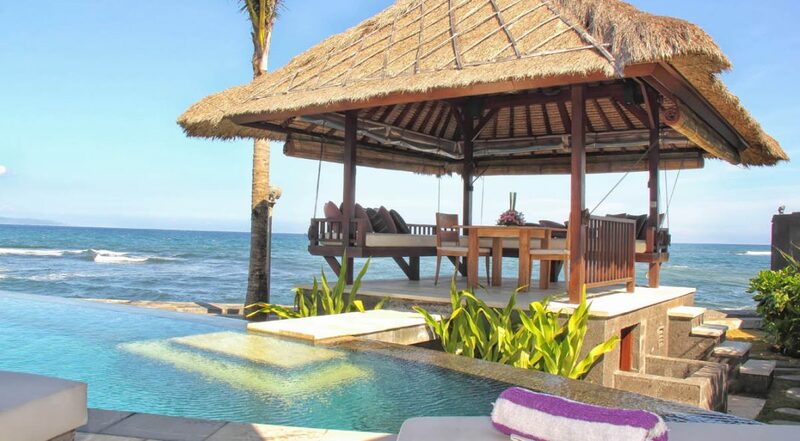 I'm so grateful for being able to experience this villa. I must say that this was so much better than we were expecting. The place was clean and had a wonderful atmosphere with everything being so open plan. 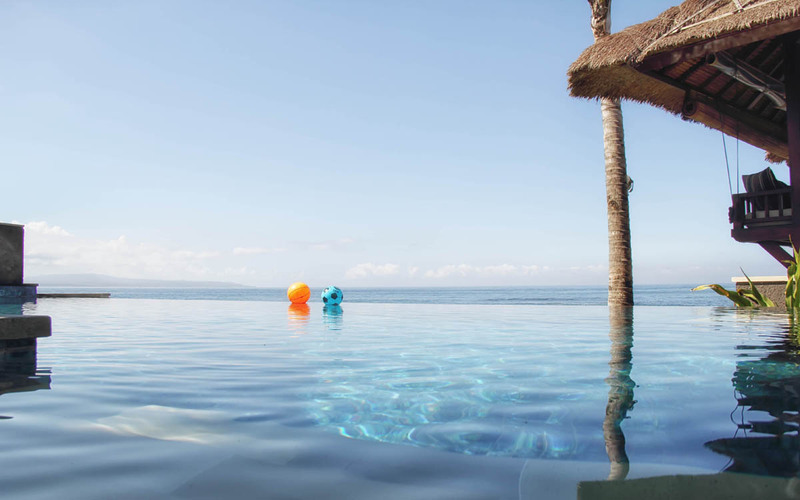 The pool was fabulous and being on the water just added to the whole package. I must give this a 10 out of 10 do yourself a favour and stay here. An ABSOLUTE pleasure to stay here. 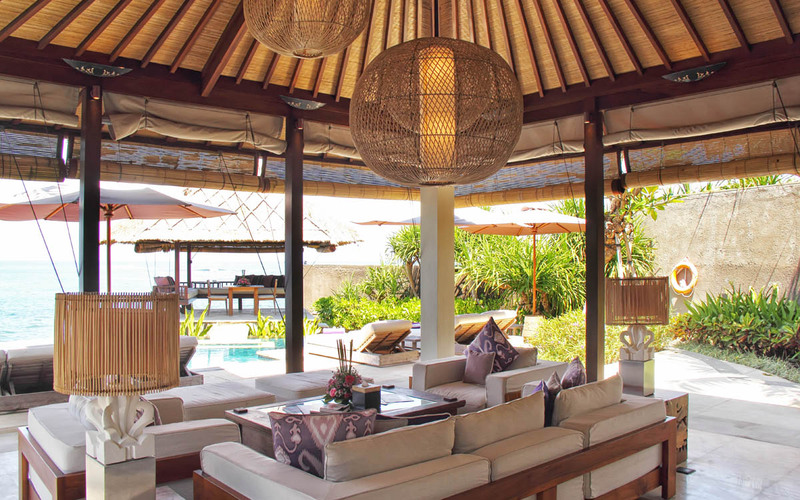 We never imagined what a great area Sanur island to be right on the water was magical. The villa was even better than the photos. 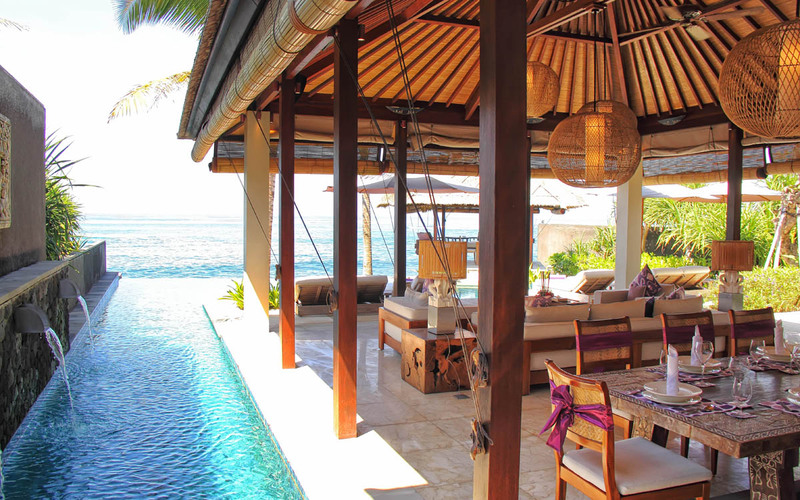 Sensational villa!! 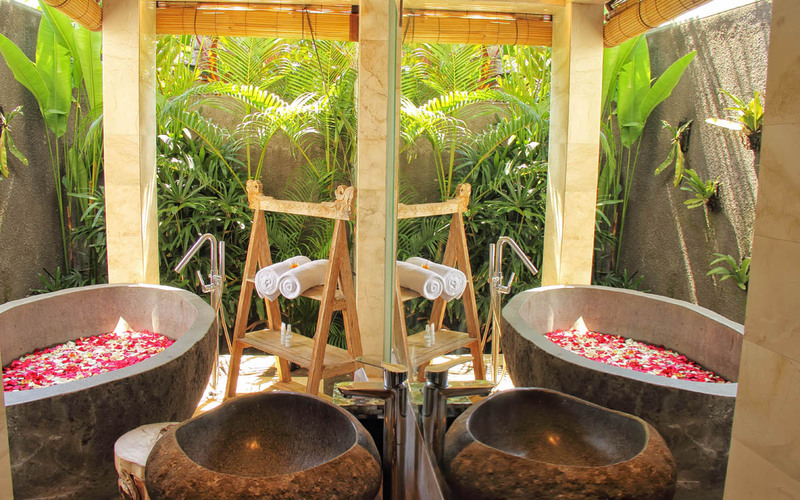 Thanks to everyone at Villa Puri Saanti for making our families stay so wonderful. Definitely planning on coming back.